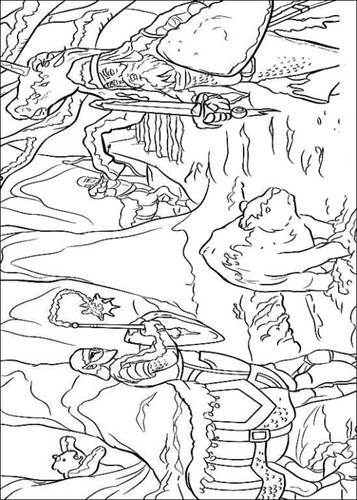 Beautiful coloring pages of the Disney film The Chronicles of Narnia. 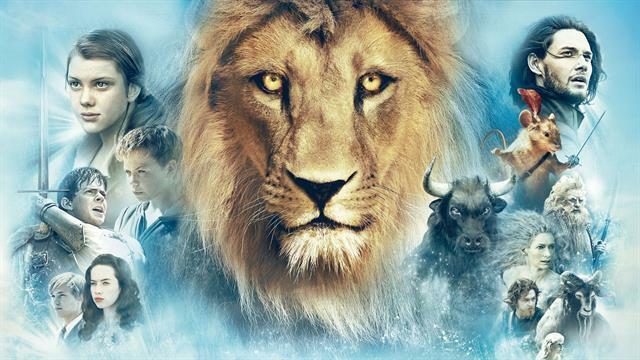 This movie is officially called: The Chronicles of Narnia: The Lion, The Witch and The Wardrobe. The story is about the Pevensie children, Peter, Susan, Edmund and Lucy. The four children, are evacuated from London in 1940 because it is through the Second World War too dangerous for them. They are housed in the large house of a friendly professor, who lives alone with his staff. While the children explore the house, they enter a room where only a large wardrobe stands. Lucy crawls out of playfulness in the closet and discovered that the cabinet has no back. They come in a fairyland where the winter. There is a lonely lamppost. A little later Lucy meets a faun. The faun called Tumnus and invites Lucy in his house. Tumnus explains that this world called Narnia and it enchanted by Jadis, the White Witch, making it always winter but never Christmas. There is a prophecy that there ever an end to her reign will come as four children (two sons of Adam and two Daughters of Eve) come into Narnia, and that is why the White Witch that all her children to be extradited. The faun Lucy realizes what danger is and bring her safely back to the wardrobe. Lucy tells her story to her sister and her brothers, but who believe her. According to them, but Lucy momentarily gone. If they inspect the cabinet, the cabinet appears to have a solid back wall. The story of course goes in, but then you have to watch the movie or read the book. In any case, beautiful coloring pages.